Tori is coming back this summer to be head counselor for the third summer in a row. She went to UC Davis as an undergraduate where she majored in communications and history. She is now at UC Berkeley pursuing a Master’s in cultural studies of sports in education. 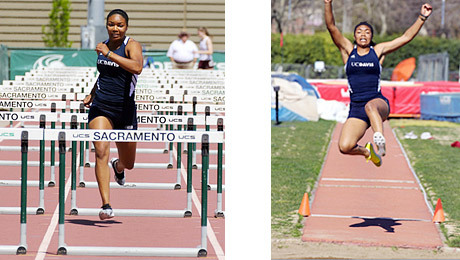 Tori was a heptathlete on the UC Davis track team. She earned two MVP awards in both basketball and track and field in high school and was named Athlete of the Year for her sports league. Tori volunteered as an assistant coach for a special kid’s camp called Team Davis and was a camp counselor at an orphanage in the Dominican Republic two summers ago. Brynna is a senior majoring in psychology. She grew up in Santa Rosa, California, about an hour north of San Francisco. She was a camp counselor at an American summer camp for two summers. At Davis, she conducted research on the development of memory abilities in children. She loves drawing, reading, singing, and playing soccer and softball. Brynna is fluent in French. 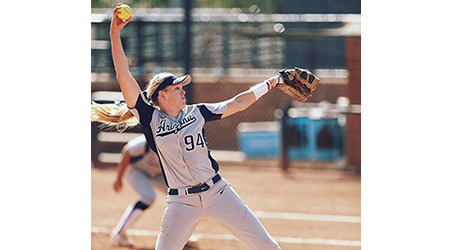 Michelle pitched the ninth perfect game in Arizona softball history. In high school, she was MVP all for years in softball and was an Academic honorable mention All-PAC12. She is president of her school’s Student Athlete Academic Committee. She was a volunteer counselor for Girl Scouts for five years and coached youth softball. She also does a great deal of photography and video editing for her school. Darnell is a junior. 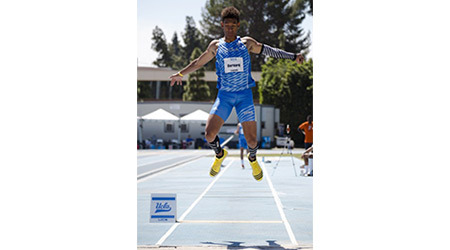 He is on UCLA’s 4 x 100 relay team that had the best time in the NCAA this year. In high school, he came in 3rd in the state in the 100m and played football. He was a counselor for UCLA’s track summer camp for junior high and high school students. He is president of his fraternity. He has studied Romanian. Destiny is a junior. She was a member of the Rising Stars Track Club from the age of 4 to 14, and competed in the Junior Olympics seven times, earning ten top 3 place medals. She was team captain and undefeated in her league in the shot put and discus throw, competing in the State Championships three years and was named first team All-American. 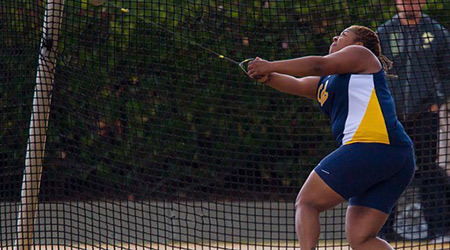 She currently holds the 4th farthest mark on the Cal All-Time list in the hammer throw. In her free time, she occasionally volunteers at the Boys & Girls Club, Destiny loves to sing, cook, and play, and someday wants to become a police officer. Adair is a sophomore. 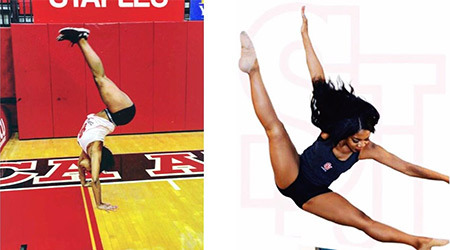 She has been training in gymnastics since she was six years old when her babysitter wanted her to learn how to do a back-hand spring for cheerleading. 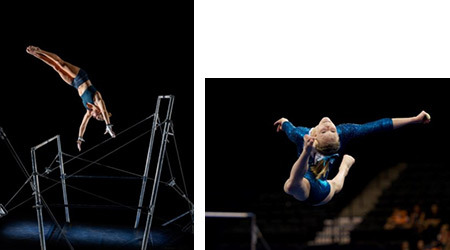 She has competed in multiple national championships at the elite, Junior Olympic, and NCAA level. Adair interns at the Stanford Graduate School of Business assisting entrepreneurs with funding for their social impact ventures. She is also a part of the Student Athletic Advisory Council where her role is to help plan charity events. Her favorite class at Stanford has been Sports Business Management and would love to continue working with athletics in the future. Alex is a sophomore and placed 2nd in the PAC 12 in the 100 & 200 butterfly. 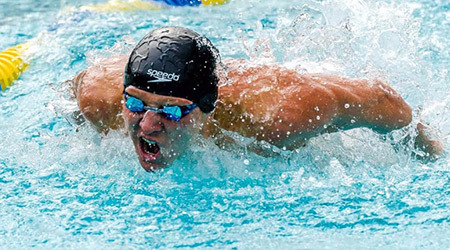 In high school, he was captain of his swim team and a member of the junior national team that visited Japan. He was a camp counselor for junior lifeguards and he tutored high school students engineering. He is an avid rock climber and slackliner. Samantha is a sophomore. In high school, she was team captain of both the soccer team and rowing team. 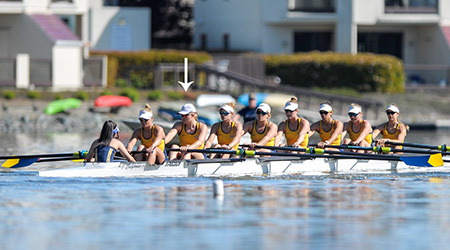 She was named the most inspirational oarswoman for Cal’s rowing team as a freshman and most dedicated as a sophomore. 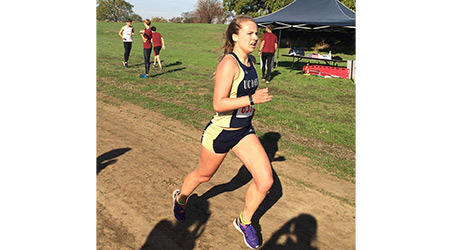 She is an officer for GBAC, Cal’s student-athlete advisory committee. She was a counselor for the Boys & Girls Club and has coached kids in volleyball and rowing. Moriah is a senior and received All-Academic PAC 12 honors. 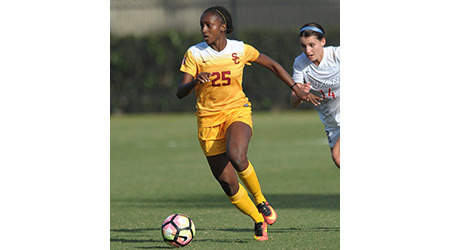 She was a member of USC’s soccer team that won the NCAA Division 1 Championship. In high school, her soccer team won the Southern California CIF Division 5 championship and she was named Daily News Player of the Year. 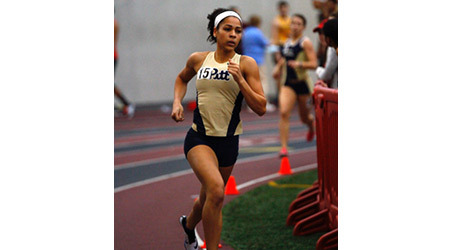 She also was a member of her track team’s 4 x 400 that won the league championship. She is a member of a gospel choir and has been a counselor and soccer coach for junior high students. 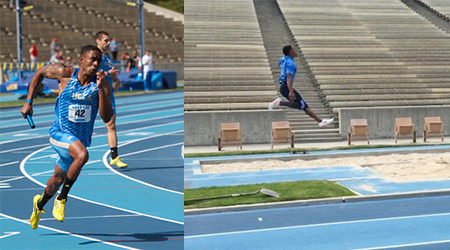 Idrees is a sophomore and does the long jump and triple jump on UCLA’s track team. In high school, he was a two-time league MVP and Southern California CIF section champion in track. He also was a wide receiver on the football team. Idrees has been a camp counselor at UCLA’s track summer camp for junior high and high school students. He is fluent in French. 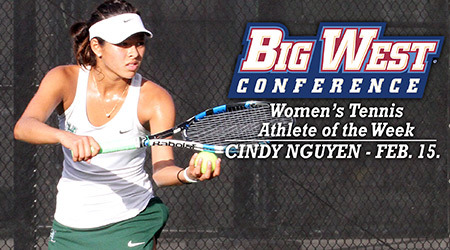 Cindy is a senior and is captain of UH’s women’s tennis team. She earned her third straight all-Big West first team honors in singles and second team for doubles. In addition to being her tennis team’s MVP twice in high school, she was also a member of the National Honor Society. She has coached elementary through high school students throughout her time at UH. 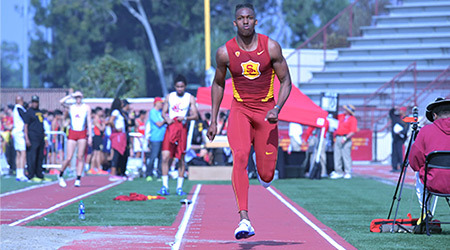 Jadon is a junior and is a sprinter and triple jumper on USC’s track team. During high school, he went on a cultural exchange program to China. He has been a DJ since high school. He was a summer camp counselor in Washington DC for elementary school students. Jordan is a freshman and runs the 400 meter hurdles and is on the 4 x 400-meter relay team. In high school, she was on the 4 x 400-meter relay team that won the state championship twice and she also set a school record in the triple jump. Jordan was also a three-time All American cheerleader and captain of her cheerleading team. She competed in gymnastics for ten years. She was a camp counselor at YMCA and coached 4-8-year old’s in gymnastics. Owen is a sophomore. He is 6’ 6” and is an outside hitter on UCSB’s volleyball team. 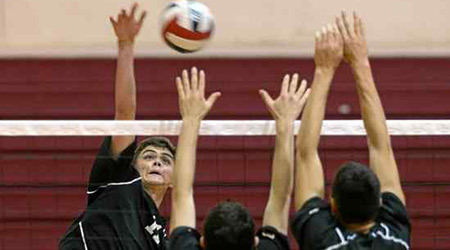 In high school, he was first team all-league and Marin IJ player of the year in volleyball. He went to sailing camp when he is a younger and he is an avid surfer. Owen juggles and can ride a unicycle. Simone is a junior and was on St John’s dance team that won the UDA Division 1 National Championship in 2016. She was a cheerleader in high school and her team competed at nationals on pom & jazz. She has been a dance instructor for four years, coaching elementary to high school students.